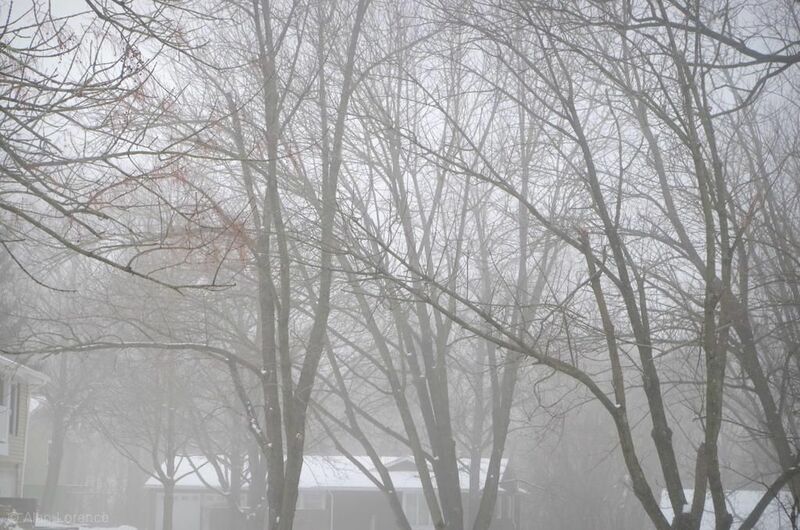 A weekend of bitter cold gives way to warmer temperatures, bringing us a foggy morning and a taste of Spring later this week. 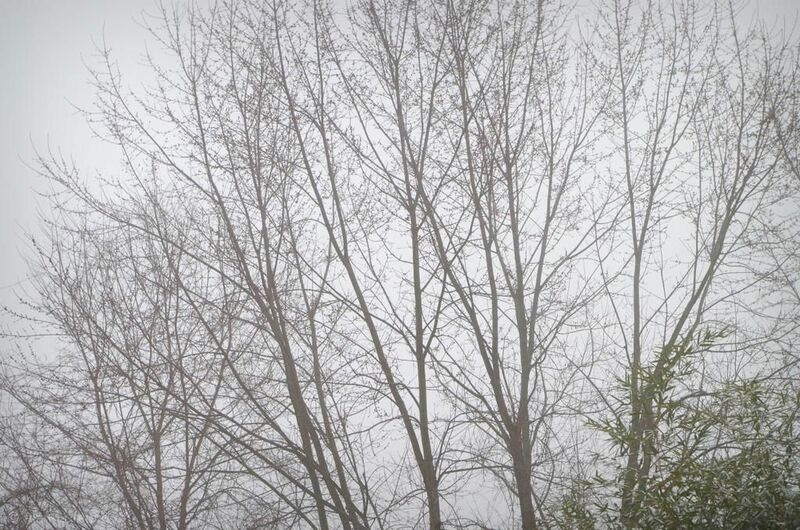 For now though grey wins the day, and Spring feels so very far away. Hey, there is some color out there! Hope you have more color than I do in the garden right now! Just to illustrate how weird this current weather is, it was 68°F (!!) at 10:30pm here in Davis last night. We had the window open all night. Unseaonably warm here, horrendously cold on the other side of the country. Nothing is predictable any more. 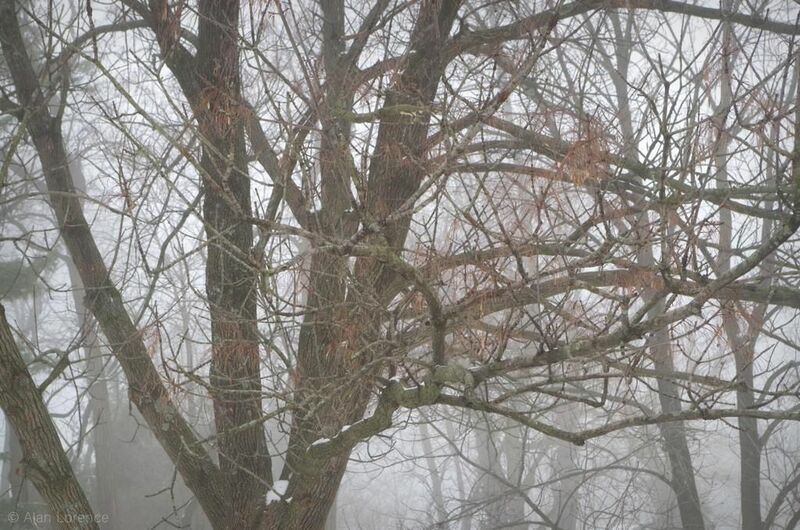 Love that last photo of the red bird in the fog and bare branches. It all looks so nice and cold and refreshing to me. It's 90F here right now. So, I guess not many flowers in your garden today? I'm in the St. Louis area, too. This morning when I opened the window shade and saw scenes similar to your pics, I closed the window shade and went back to bed for another two hours. 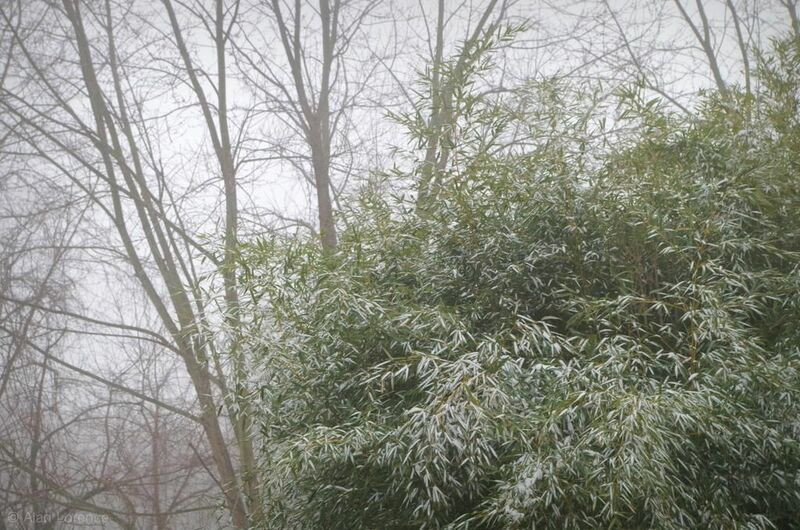 I love how pretty and green your bamboo is. The cardinal really stands out and looks pretty against the foggy backdrop. 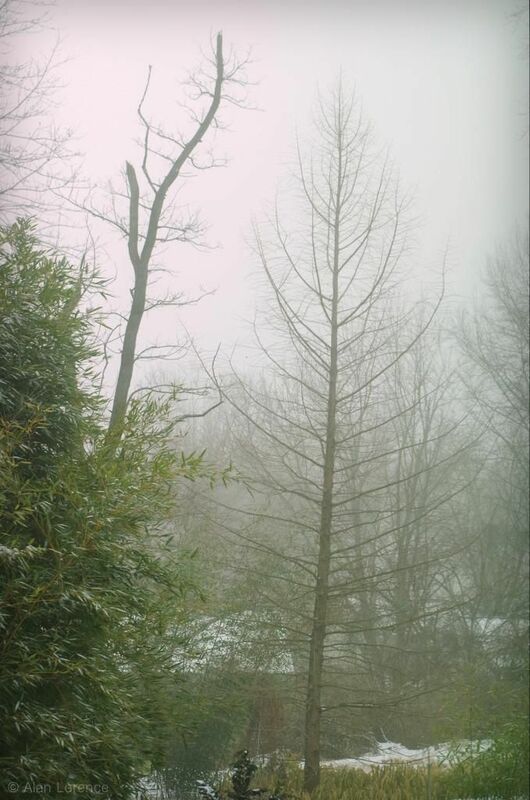 I love the austere look of your winter...ours looks much like your spring to come. I think winter like that would make you appreciate spring all the more! 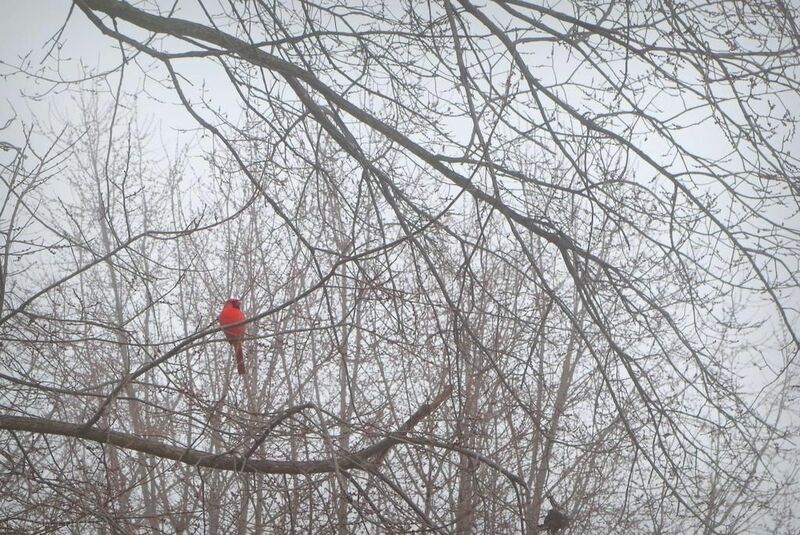 The lone cardinal is beautiful against the grey. Hoover: Nothing flowering yet. 90's sounds crazy, but would make a nice weekend for us. Susie: The bamboo keeps me going through the winters now. Love having more STL-based readers and comments! 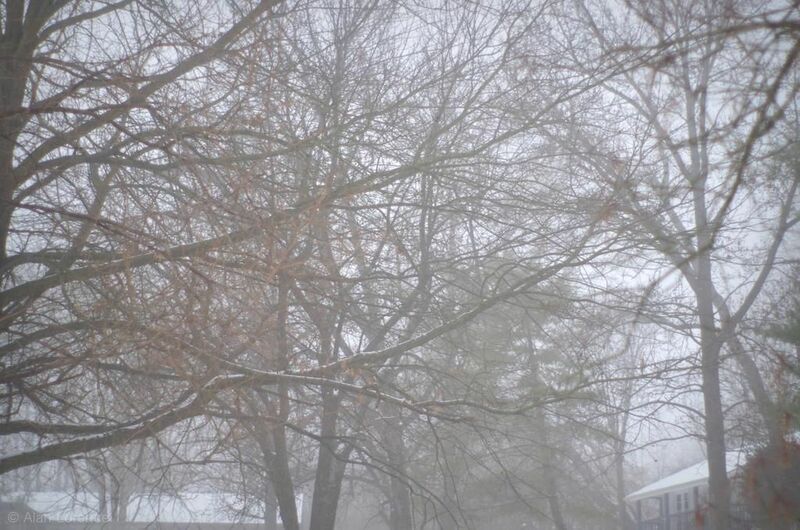 Laurin: We certainly do appreciate spring when it arrives, but it usually turns into summer too quickly! Your garden has more color. Freezing rain here today in Vermont. 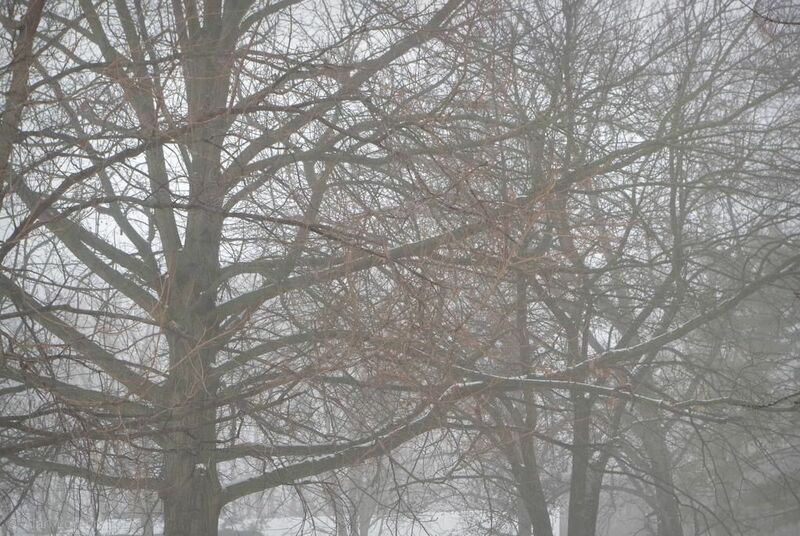 Out my window looks like an old Dutch winter painting.